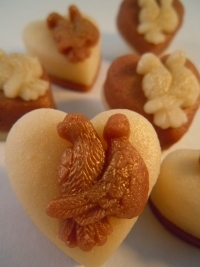 Lovebirds decorate marzipan hearts for a perfect combination any time of year. 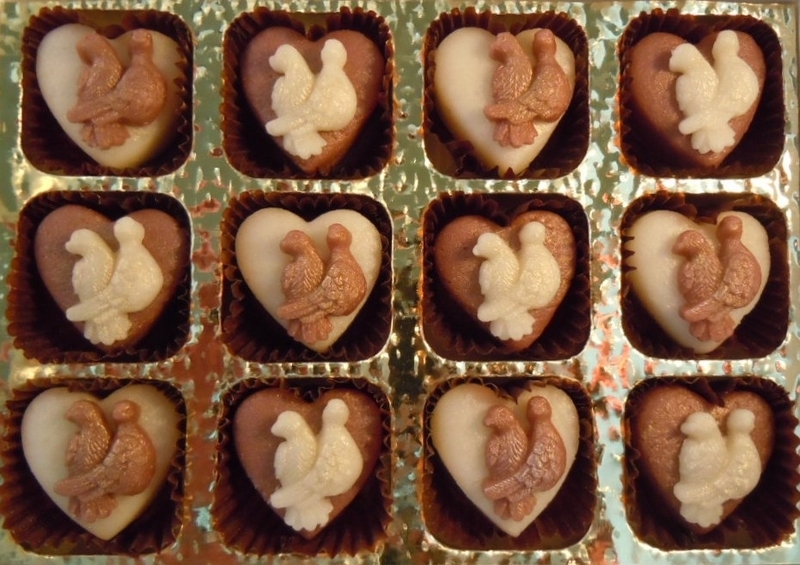 Choose from rich brown and white marzipan or pink and white hearts and for marzipan lovers who also love chocolate why not choose our chocolate flavoured marzipan version? This design can be personalised with a message (letters are impressed into the hearts, NOT on a gift tag) for an extra-special gift. 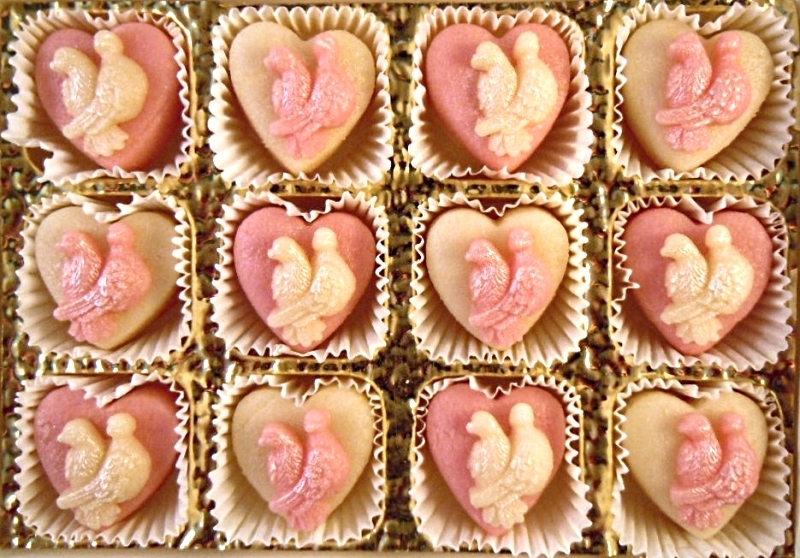 Personalised Marzigrams® start at 16 hearts, but if you have more to say, why not go for a box of 24 or 48 hearts? Choose one of our standard messages from the drop-down menu, or select the option for "My own message" and write it into the free text box provided - please do not write a message that is longer than the number of hearts you are buying. All our products are made from 100% marzipan and can be sent gift wrapped. Important note: To make sure that your message will fit on the number of hearts you've selected, check out the Marzigram Guide. If you have selected "MY OWN MESSAGE", please enter it into the box below. Please ensure that it will fit the size of box you have chosen. | Theme: TheShop by aThemes.